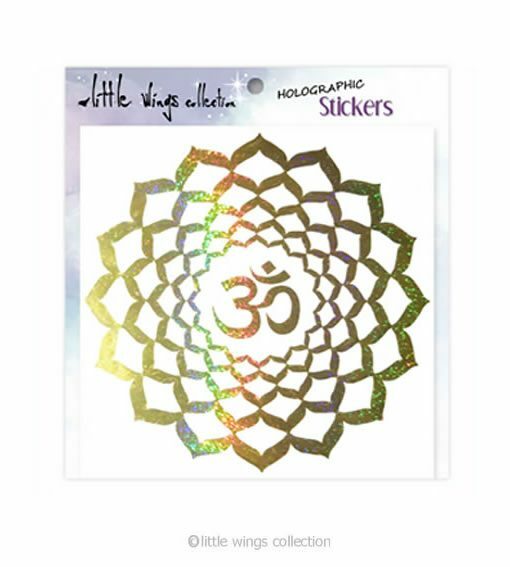 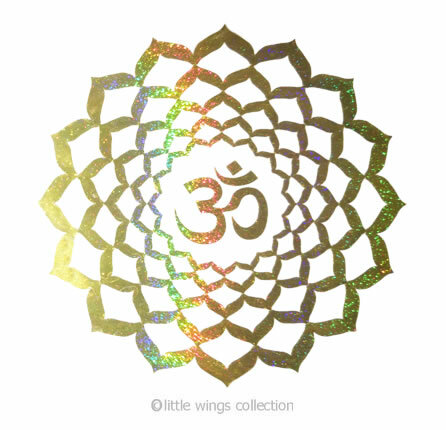 Om Lotus Holographic Stickers with brilliant gold design. 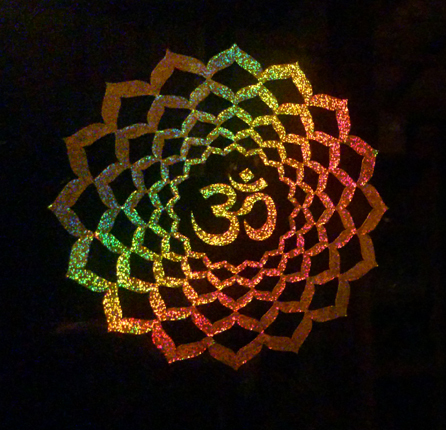 Stickers are size 11 x 11cm and may be applied to most outdoor and indoor applications. 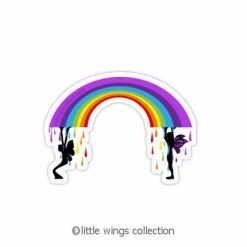 Individually packaged in a clear sleeve with ‘How to apply’ instructions.